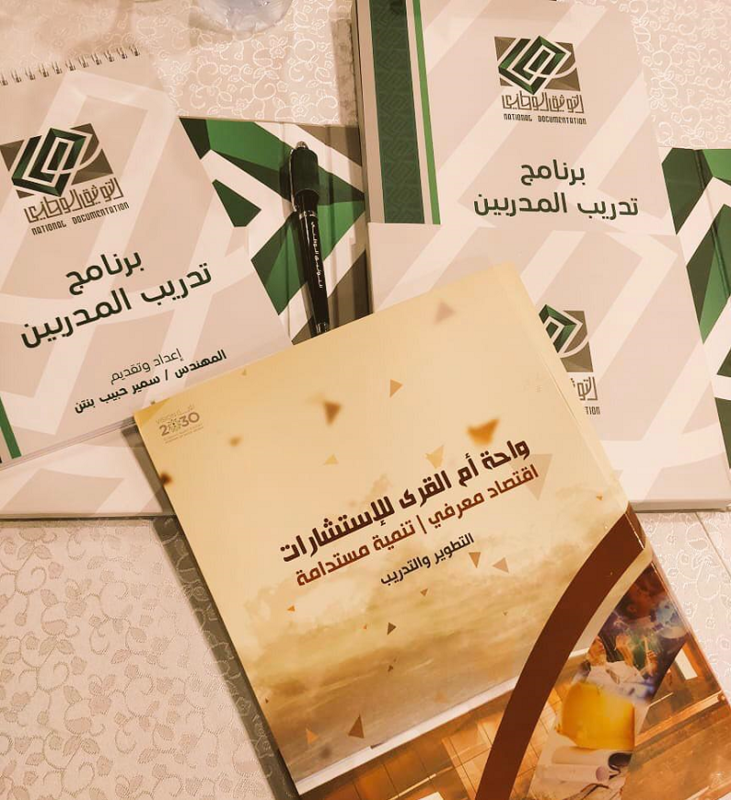 The Institute of Research and Consultation Studies at Umm Al-Qura University, represented in the Vice-Deanship for Professional Development, offers an initiative to qualify trainers from among the academic staff at Umm A-Qura University. This is a form of investment in the distinguished personnel of the University. 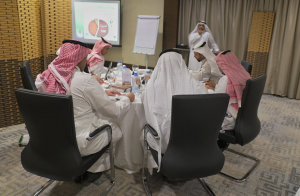 The initiative included a training course for professional trainers offered by the trainer Eng. Samir Bintin. It included six training hours per day for a time span of 12 days, starting from Saturday, 1 December, 2018 A.C., and ending on Thursday, 13 December, 2018 A.C. The course aims at promoting and developing training skills as well as empowering the participants through getting trained on various aspects that concentrate on making the trainer well-acquainted with the mechanism of professional training in the present time. It also aims at strengthening the academic staff cognitively and improving the training level through the use of diverse methods in this course. The course witnessed outstanding interaction from the participants, who expressed their thanks to the Institute of Research and Consultation Studies. The President of Umm Al-Qura University, Prof. Abdullah bin Omar Bafail, reviewed the progress of the Training Course for Trainers on Thursday, 2 December, 2018 A.C., to encourage and motivate trainees to develop their training skills. On his part, the Dean of the Institute of Research and Consultation Studies, Dr. Ali bin Muhammad Al-Sha'ir, thanked his Excellency the President of Umm Al-Qura University for his visit and continuous care and support of the Institute and its developing initiatives. The Dean of the Institute stressed the keenness of the Institute to develop personnel abilities in professional training that qualify them to offer diverse training programs that serve all sectors of the community.